The class began with students writing their own preliminary definition of social studies. Since many typically think about social studies as purely about history, students were prompted to broaden their thinking about the subject. After each table shared their ideas, we brainstormed together as a class listing various topics that could be considered under social studies. With a more comprehensive list compiled, students considered why we should bother with social studies as a subject of study. Finally we summarized what we are doing in a social studies classroom. Social studies considers the stories we tell about each each other. Here the Nigerian novelist Chimamanda Ngozi Adichie reflects on the danger of a single story. Diverse stories allow us to appreciate the complexity of different peoples and places. 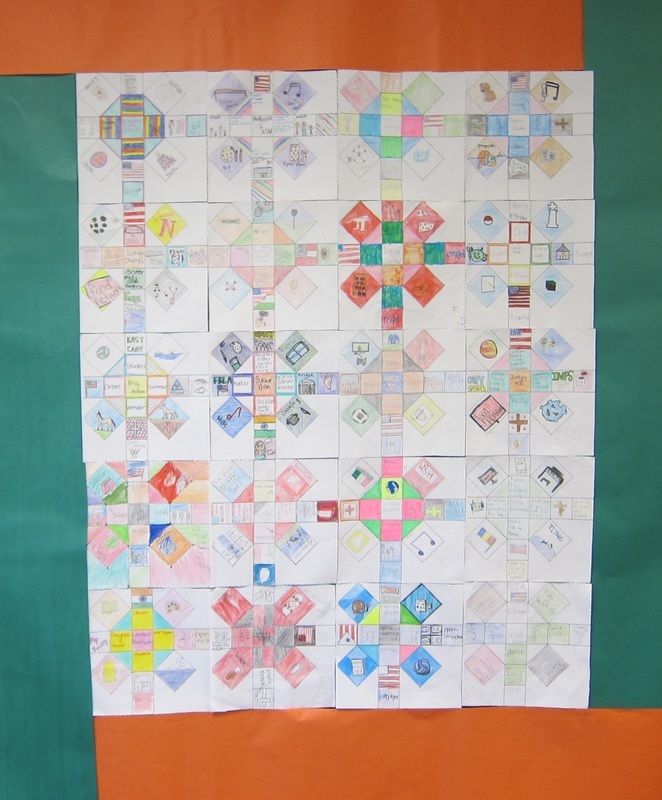 The semester began with students developing a quilt square that engages students in reflection upon who they are and what their place in society is. Students began by reflecting on their individual interests--hobbies, sports, instruments, or personal favorites. Students continued to reflect on institutions by charting what contribution institutions ideally give to society and the various ways people are involved in those institutions. 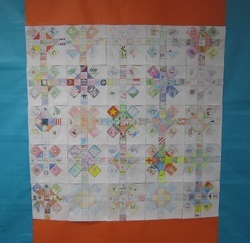 They added to their quilt square by describing the roles they have in various institutions. After reviewing the neolithic transition from hunting-gathering to agriculture students considered how humans organize themselves in complex ways beyond families to various institutions--government, trade, religion, and education. 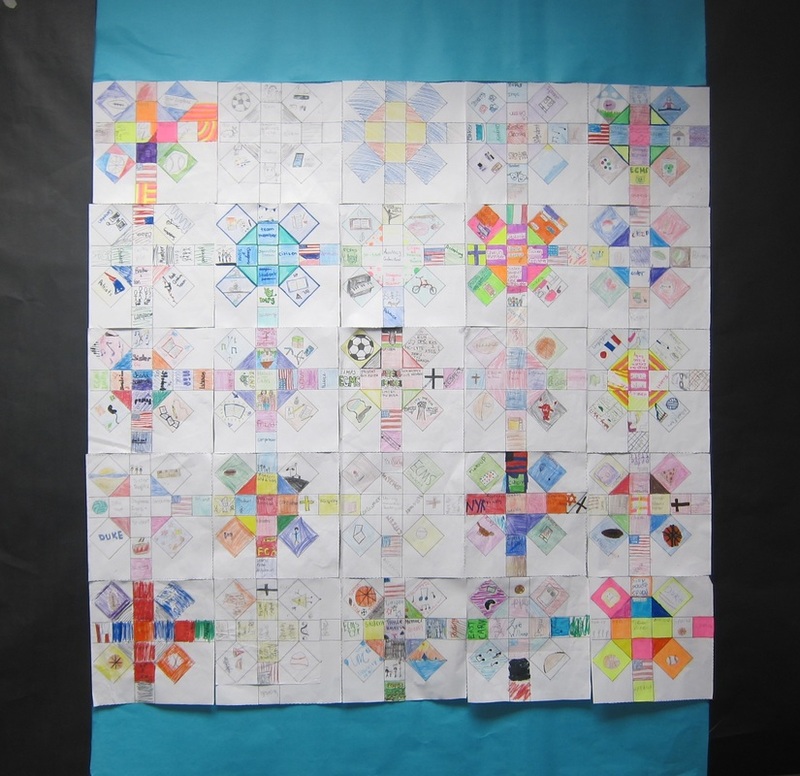 Students then develop their quilt square by identifying important institutions they participate in. 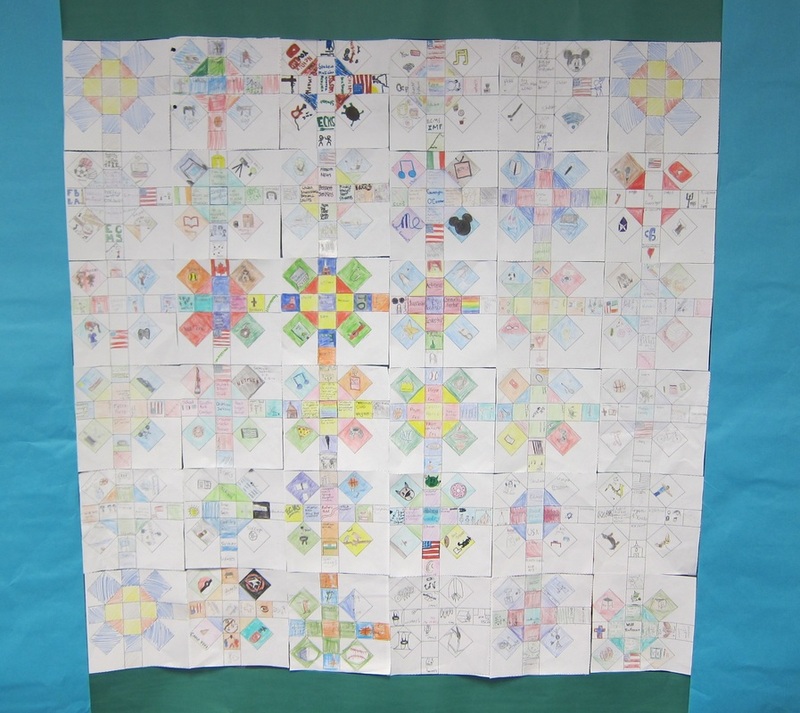 Finally students began to appreciate the diversity in the classroom by examining other students' quilt squares for commonalities and differences. This segued into a reflection on what dispositions help us bridge differences. Students selected to dispositions they would like to work on this semester.